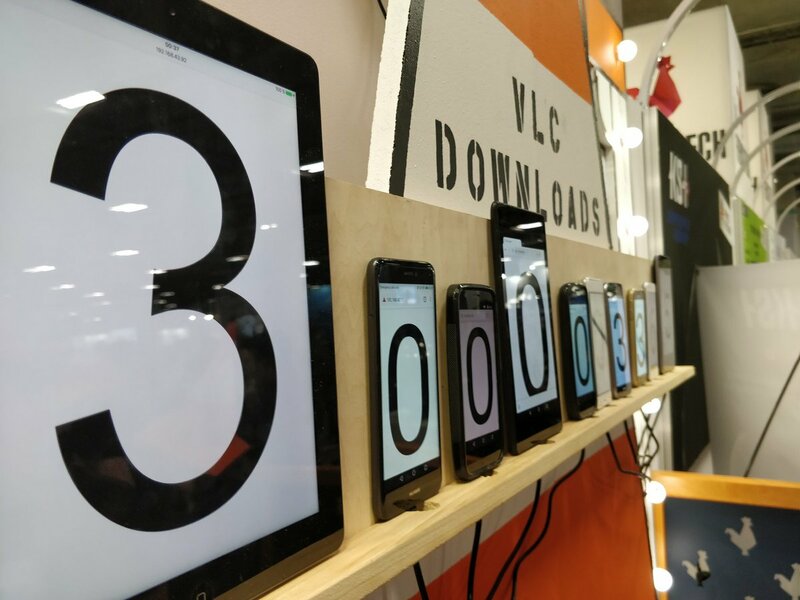 Just in time for its presentation at CES 2019, the free open source VLC media player has demonstrated how popular it is: it has broken the barrier of 3 billion downloads - a quarter of which were downloads of the mobile version for Android smartphones or tablets. In addition, the Android version of the VLC Player (probably with the next update to version 4 in about a month) will get support for Apple&s AirPlay, i.e. enable video streaming via WLAN from smartphones to devices equipped with AirPlay - the iOS version of the VLC Player has been supporting AirPlay for some time already. AirPlay is becoming more and more attractive because at the CES LG as well as Samsung announced to support AirPlay on other Smart TVs. With another update the VLC Player will get an improved support for VR, which will allow to watch 2D movies on VR headsets like the HTC video. Also the VLC Player will soon run on other platforms like PlayStation 4, Nintendo Switch and Roku Settop boxes. In addition, the functionality of the media library is to be further expanded in order to make it easier for iTunes users to switch.